One day I would like to change the world. Some might say it is impossible but I have my ambitions and the start of my path is definitely here at NTU. "I have been interested in politics since a young age. I remember watching the news with my father and him explaining to me what was happening in the Middle East and around the world. After realising that it was a career in politics that I wanted to pursue, I started to look at UK universities. For me England is the best place to study politics; it has a huge political background and I am interested in learning about the Omani/British political relationships too. 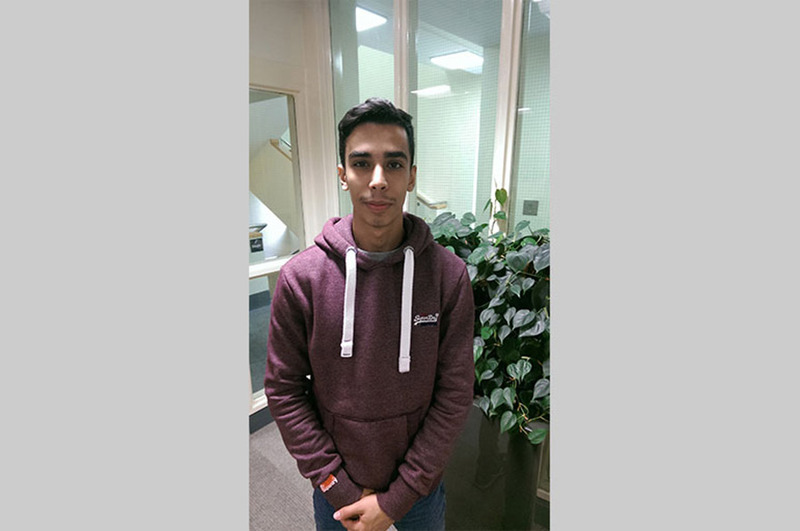 "I decided to study a foundation degree in the UK before moving to Nottingham to study BA (Hons) Politics and International Relations. I went to a few open days but as soon as I got to NTU I knew that this is where I wanted to be. I felt comfortable straightaway. The people in Nottingham are the friendliest that I have met in the UK and the city is great – everything you could need is close by, even Arabic food! There is always something to do and it is so easy to meet people. I would say that of course the studying is important, but more than that, NTU is fun! "My course has been really interesting so far and I definitely feel like I’ve made the right choice. I was concerned that I would be limited by the conditions of my Omani government scholarship, however NTU had the perfect course for me and my sponsors. I am always surprised by the new things I learn on my course and the areas of politics that it has introduced me to. There are so many modules that are relevant to me and my home country that really fascinate me, such as international relations, globalization and national security. Since I’ve come to England, I’ve learned more about life, politics and myself than I have in my whole life. "The best part of my course is when I have opinions or ideas I am always encouraged to share and develop them with my peers. Also the lecturers are amazing and really engage with their students. Their door is always open and you can ask them anything you like. "I feel like this degree will help me in my future life even though I am not sure what that will be yet. Honestly? One day I would like to change the world. Starting with myself, then my family, followed by my country and finally, the world. Some might say it is impossible but I have my ambitions and the start of my path is definitely here at NTU."